Thanks to the U.S. Senate, IRA owners age 701/2 and older have until Wednesday, December 31, 2014, to make a direct transfer from their account to an eligible charity of their choice of up to $100,000 without paying taxes on the distribution. The senate approved the direct rollover in addition to more than 50 other tax provisions as part of the extender’s package on December 16, 2014—just two weeks shy of the year-end deadline. This option, which first became available in 2006, can be a smart alternative for some IRA owners by allowing them to take their mandated annual required minimum distribution (RMD) and transfer it to a qualifying charity tax-free. Some other benefits include that the money isn’t included in one’s adjusted gross income, which might help account owners avoid taxes on Social Security benefits or keep their income below the cutoff for Medicare’s high-income surcharge. Additionally IRA owners don’t have to worry whether they’ve made both deductible and non-deductible contributions. 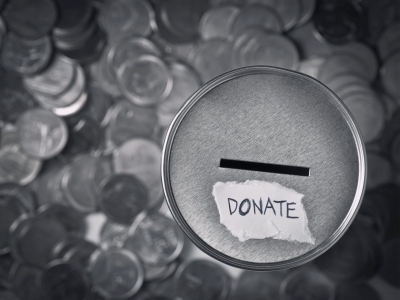 One of the unique rules in the law treats funds distributed to charities as coming first from taxable funds versus taxable and non-taxable funds, proportionately. There are some caveats, however. First, one must be 701/2 years of age to qualify. Second, not all retirement accounts qualify. Distributions from employer-sponsored plans (SIMPLE IRA plans) and simplified employee pension (SEP) plans aren’t eligible. Third, the charity must meet eligibility requirements. Donor-advised funds and supporting organizations are not eligible. Last, but not least, the donation must be made directly by the IRA trustee to the qualifying charity. If the owner takes the distribution and then, in turn, donates it to the charity of his or her choice, he or she would still owe taxes on the amount.